If you challenge the status quo and open people’s mind to change, it can have a powerful and positive impact on the individual and the business too. Most businesses are unaware that change is needed…. You may be facing challenges but not sure why, your performance isn’t as expected or you’re not delivering the lifestyle or financial rewards you set out in business to achieve. Or perhaps you may be aware of the changes needed but don’t have the capacity within the business to make those changes happen. We help you identify areas in your business that need improvement and advise on the best solution. We create and implement practical plans and programmes, freeing up you and your team. We run bespoke training for you and your staff, so that everyone is effective, and self-sufficient to help embed sustainable change. We’re unique in that we can offer a holistic approach to your challenges, weaving together consultancy, implementation and people development to deliver a bespoke solution that’s right for your business. Ascensor had a client within the financial industry for whom they had developed, maintained and continued to develop over a number of years. A change in business model resulted in their client modifying their approach to their digital platforms, subsequently requiring Ascensor and their other IT/platform suppliers to now tender to deliver these services. Ascensor therefore approached JFA for a bespoke package of support to help them address the challenges they faced in order to deliver the tender response. With limited experience of tender applications, the initial consultation established that the company required a tailored package of support – but not around the drafting of all the answers, rather supporting the Managing Director with the analysis of the questions and the type or detail of answers that were required. The approach would require one-to-one support including guidance and coaching on how to answer questions, as well as the reviewing of some of the answers the client had drafted, offering challenge, advice and recommendations for improvement where required. This included face-to-face as well as telephone and email support. Ascensor constructed a highly detailed response document and were awarded the contract. The company developed during the process, a bank of structured and model answers that could be modified for subsequent tender applications, therefore saving the company both significant time and money in the future. The business did not fully understand what they needed in order to enhance their customer service experience across all facets of the business. In addition, they wanted to develop and deliver an in-house workshop across the whole organisation, to help their staff better understand their impact on customer service. JFA met with the Head of Sales and Marketing and the Customer Services Executive (Team Leader), to identify their challenges and offer a tailored solution. This included working with the Team Leader to develop a robust workshop programme with supporting materials and facilitator notes, that met the business aims and was engaging to all staff, from operatives through to the CEO. JFA worked with the identified facilitators and delivered a pilot workshop to a group of the senior managers, to gather their feedback and model delivery of the session to the facilitators. The workshop has been successfully delivered across the whole company, engaging all the staff and raising awareness of the need for a consistently excellent quality experience for all Yorwaste customers by all staff. 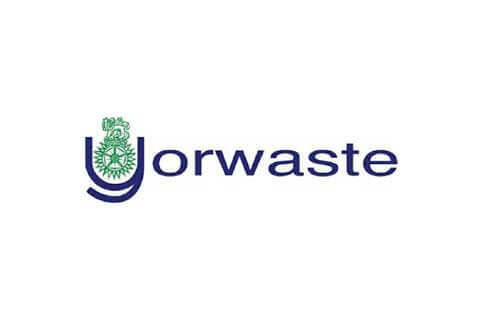 Yorwaste are also re-structuring their approach to customer service calls, to further enhance the customer experience and ensure consistent excellence. As part of the Siemens Hull Project, the team required support with the engagement of the local education and skills communities across the city and the three neighbouring local authorities – the East Riding of Yorkshire, North Lincolnshire and North East Lincolnshire, to showcase how the company and its partners could support them and young people across the Humber. JFA were recommended for the role, and provided a range of consultancy support to manage two regional events. The speakers included national and regional partners including the Advanced Manufacturing Research Centre, Sheffield and Greenpower Education Trust electric formula car racing. JFA liaised with Siemens’ colleagues across the country to establish support and materials available, co-ordinated and marketed the event, and carried out an event evaluation. Following fantastic feedback – 100% stating the events met their objective and 100% valuing/extremely valuing the days, the impact down the road has been phenomenal. A Greenpower race event took place on Sunday 16th July 2017 at KCOM Stadium in Hull with IET Formula Goblin events (Ages 9-11) , IET Formula 24 and IET Formula 24+ races. Over 60 electric Kit Cars were built by schools, organisations and charities in the Humber region over the last 18 months, as a part of the Greenpower Education Trust’s Project Blyth. The project has been funded by the Careers and Enterprise company, as well as Green Port Hull, and is also supported by Siemens. Both the event and the exhibition were open to the public. General Practices are facing significant challenges as the capacity to offer appointments is stretched to limits to meet the ever-increasing demand, as populations grow. Opportunities to release GP capacity through innovative service delivery as well as streamlined and more effective processes, are sought to address the balance between capacity and demand. Lean Management principles are applied across many aspects of this programme. 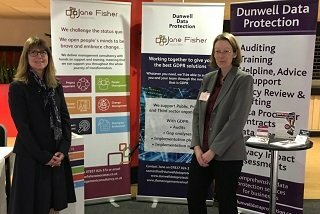 Jane Fisher has supported practices across England, from the North East to London, as part of this innovative programme as a consultant coach for KM&T as well as Qualitas Consultancy companies. The PGP programme helps general practice continue to deliver high quality care whilst meeting increasing levels of demand and diverse expectations. It helps practices to put the patient, clinician and practice team at the centre of improvement to create a timely, appropriate and dependable response to patient needs. 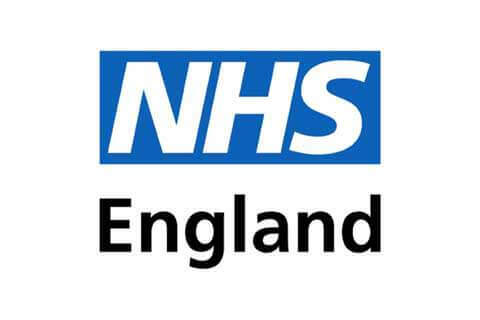 Implementing the programme engages all staff in the practice in improving their work processes, making it possible to release time to invest in improving patient outcomes and staff wellbeing. Julie Lund, General Manager, Haxby Group. It was refreshing to work with a colleague who whilst being a professional expert in her field, was also willing to try new ideas. Jane’s understanding of how County Council procurement works was second to none … I would recommend using her to anyone. JFA has a strong ability to tailor the subject [training] to individuals and the group to get the message across. I wanted to commend you on the clarity you brought through your management of the project. It was not only completed on time, but was to the specified budget and met with required ESF marketing and auditing standards. Gary’s ‘Sat Nav’ took me from Bewilderment to Enlightenment via Lake Windermere!